I’m a huge fan of apricot and peach jams whereas I’m definitely not that passionate to red jams, but I still am a fan of homemade products and I don’t know if it’s only me but I do actually think homemade always tastes better. On the other hand I love strawberries and when you happen to have way too many strawberries baskets in your fridge the better thing to do is preparing some good old homemade jam. 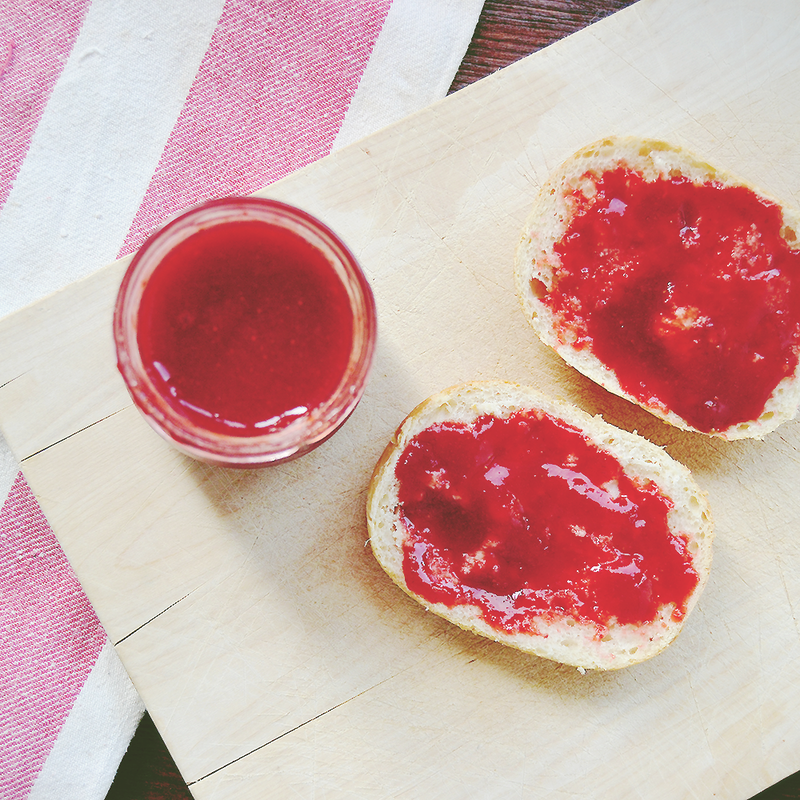 There are way too many jam’s recipe and how to features online, but I just think everyone has its own method, and being that preparing a strawberry jam takes only a few minutes and ingredients, you definitely can manage it in a lot of different ways. However the main ingredients are of course a lot of strawberries and some pectin powder, which helps in jellifying your jam and which you can find also in your local grocery store. Doses can change according to which brand of pectin powder you buy, but I generally stick to 500 grams of strawberries cleaned and cutted into pieces, which will be good enough to fill two regular-size jars, and then use the suggested amount of pectin powder for that quantity of fruit (usually it’s 7/8 grams per 1kg). I usually go for 125 grams of sugar, and while someone says you can either use brown or white sugar, I find white sugar provide the best consistency, whereas when I use brown sugar I seem to always come out with a too liquid jam. Lastly one or two teaspoons of lemon juice help in achieving an even more jelly texture. As regards the method, the first thing I’d suggest to do before even starting making your jam is sterilizing your jars by putting them into boiling water for about 25 to 30 minutes. As for the jam itself I just throw everything in saucepan and blend everything on a medium heat for 10 to 15 minutes from when it reaches its boiling point. 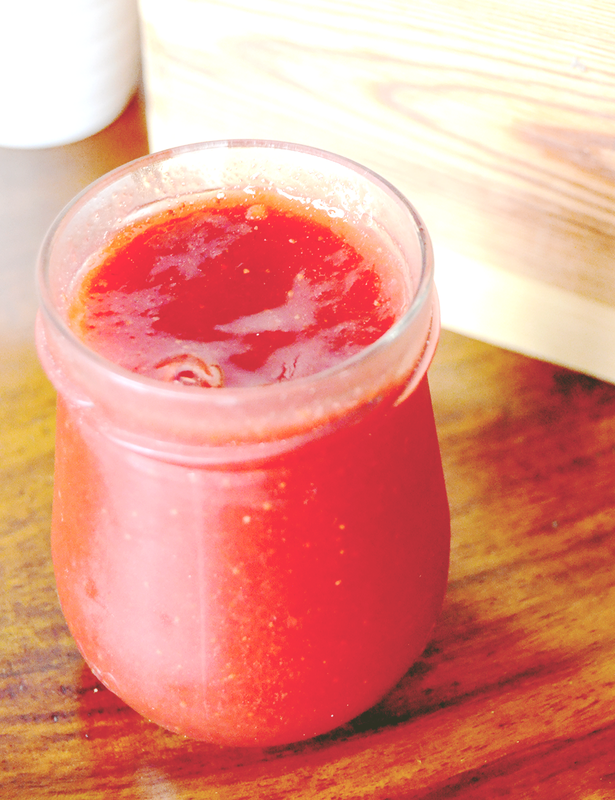 Times can be different according to the pectin you use, but you will see the strawberries start melting and everything will comes together thicker and creamy. Immediately after I throw the whole mixture into my jars, close and secure them and leave them rest upside down overnight. 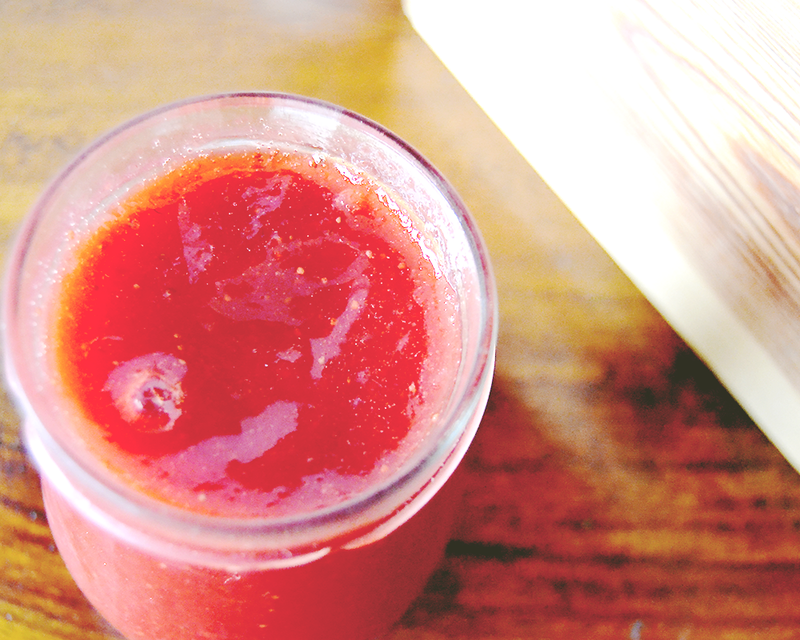 The morning after you’ll have a wonderful homemade strawberry jam to spread over some fresh pancakes, and you will see how good it tastes, a lot better than any premade one! Do you prepare your own homemade jam?